Late news (but better late than never): the Morevna team decided to help Nikolai Mamashev's Motion Comic Project. 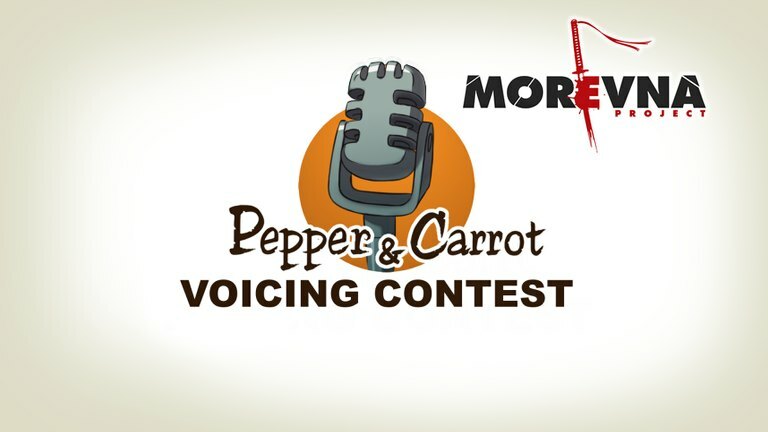 They launched on their website a contest to find the voice for Pepper and the Mayor. In short, they propose a cash award of $100 for Pepper and $100 for the Mayor. The deadline to send your sample recording is the March 3rd 2017 and all the work will be under the CC-By 4.0 license. To participate, read the official page of the Voicing Contest on morevnaproject.org. Good luck!